mix the vegetables in abowl and season with salt and pepper and leave for about 30 minutes to sweat. add the flours to the vegetables. heat oil for deep frying and with the help of a spoon put spoonfuls of the batter in the oil and deep fry till golden brown n crispy!! 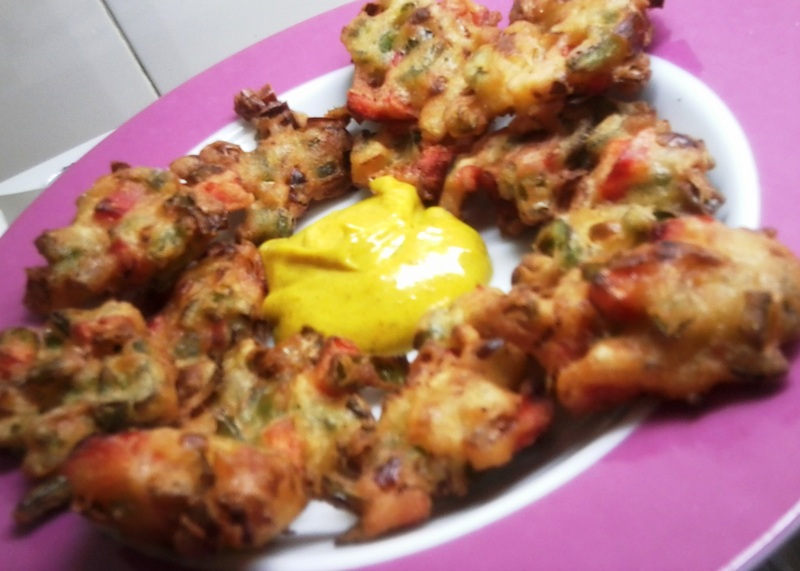 This entry was posted in Veg Starters and tagged starter, tempura, vegetables. Bookmark the permalink.